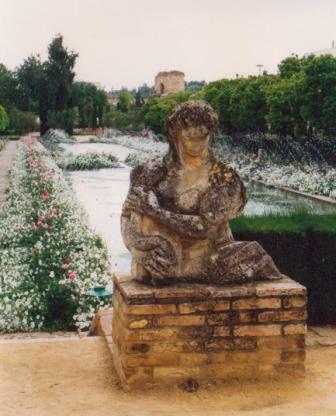 I took this photo in Sevilla, Spain on Valentine's Day 1996. Last Valentine’s Day, I posted that this day is Dennis’s and my first-date-iversary. This morning, the three of us woke up to sweet surprises thanks to Hallmark, Little J’s unending enthusiasm for candy-related holidays, and the one thing that keeps this family moving forward no matter what: Love. Last week, Dennis and I talked about how this would be a special Valentine’s Day. Instead of awkwardly wooing each other over gimlets in North Beach, we’d hold hands and make each other laugh while we embarked on our next cancer-venture: the Morab-003 trial. Chemo on Valentine’s Day might seem cruel to some, but for us it’s perfect. Love is our secret power. So today is an auspicious day to get this leg of the journey going. But perhaps it is not meant to be. We got a call this morning from the trial coordinator saying my white cells are too low to qualify for the trial. They’re supposed to be 1.5. They are 1.25. So I headed out into the rain to get a STAT blood test at Sugartown Community. And as I type, we are waiting to find out if my neutraphils have risen another .25 since Friday. Can a girl get a break? I mean, PLEASE. Enough already. This trial looks so promising, and I am going to admit to you right now that I will be heart broken (broken) if this doesn’t work out for me. Fez. I have just left the balcony where I stood listening to the evening prayer rising over the city. Overwhelmed by all I have seen. Mystery and labyrinth. Complex streets. Anonymous walls. Secrecy of the houses without windows on the streets. Fez is the image of my inner self. This explains its fascination for me. Wearing a veil. Full and inexhaustible. Labyrinthine. So rich and variable I myself get lost. Fez is a drug. It enmeshes you. 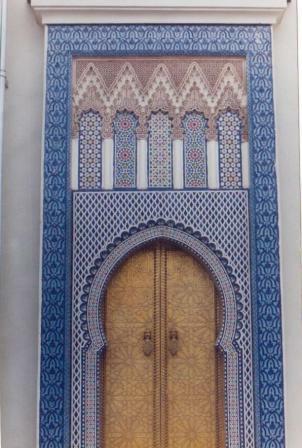 The layers of the city of Fez are like the layers and secrecies inside of me. One needs a guide. Traveling, I add everything I see to myself. I am not merely a spectator. It is not merely observation. It is experience. It is expansion. It is forgetting the Self and discovering the self of affinities, the infinite, limitless worlds within the self. And this photo is my most cherished of all non-family photos, of all travels. Ever. This morning, I took the picture out of my jewelry box, where I keep my wedding hair clip and treasured string of perfectly matched pearls, a college graduation gift from my parents. I need to look at and share this photo with you this morning. 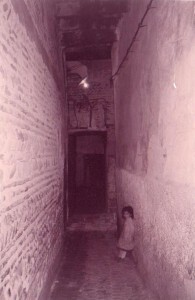 Who knows how it came to be that this little girl was standing alone, in the darkness, in this tiny alley, in a walled and roofed city that one could get lost in. Forever. Maybe, even at her age, she knew her way around the twisting, turning, walled-in cobbled pathways of the old Medina better than most. You can’t see it, but she is smiling at me. 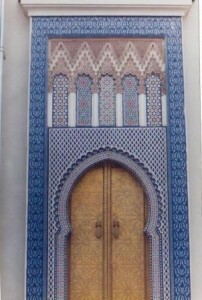 I remember sneaking this picture because I’d been told Moroccans find it offensive to have their photo taken. But I had taken out my camera and aimed it down this corridor before I knew anyone was even there. The flash revealed her. And in the quickly fading burst of light, I saw her smile. I’ve treasured this photo for fifteen years. Not because of its quality. Because of its mystery. 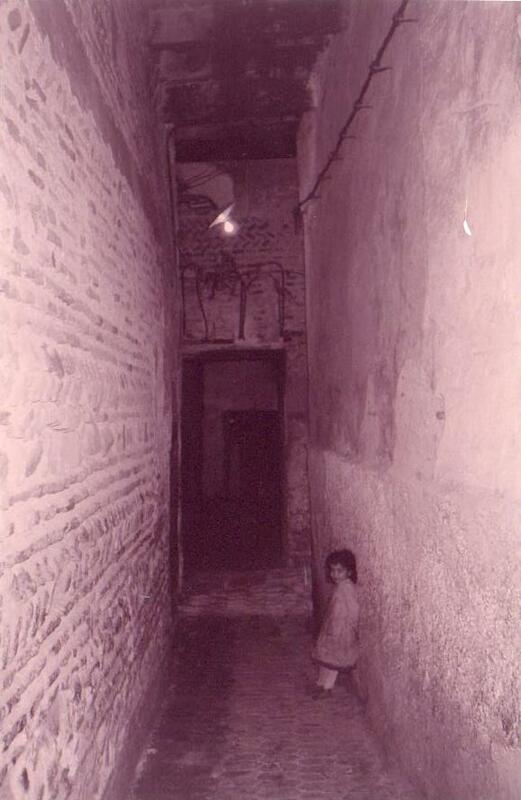 Because of the confidence, bravery, and beauty of this little girl, standing in a dark alley, alone with one tiny light bulb. She’s almost like a little ghost, or an angel. I feel that Anais Nin would have loved to have seen her there. Or maybe she saw her, too. Maybe she’s the inner self that Nin finds in the city, in her travels. Anyway, she’s my symbol of bravery and hope right now. And now I’ve got to go. A tiny doorway just opened on my own twisty path. The coordinator just called, and my white cells are 1.7. Morab-003 is on. Hugs and Happy Valentine’s Day. I applauded when I got to the end. Yay!!!! Me too! Love conquers all, again and always. Happy heart day, sweetie. Yay! The whites win today, on the day of red. Great news and wonderful post. Thanks for writing. Beautimous photos. Great news. Thanks for sharing, Miss Jenn. YEAH!! White Cells..sending youl lots of XOXO. I remember this photo vividly, but the print you showed me at the time was a close up of the little girl. It’s an image that’s always stuck in my head, so it’s kind of haunting to see it again. Do you remember the Moroccan group, Al Jaima, or something? I can hear that music looking at this picture. Thanks, Jayne and Sid and Jenny and Ronnie and Mari. Woo hoo! Stunning. That’s the first word that comes into my head. Your words, Anais’ words, the images, this little girl. And YOU. I’m leaking tears writing this, feeling overwhelmed and stunned. With joy and love, my friend! With joy and LOVE. So happy to read the end, Jennifer. 1.7! The photos are amazing, as is your writing, you, the love in your family and in your life that keep it all going! You are precious! love and hugs! So so glad it all worked out on the day Jenn! Amazing writing, amazing thoughts, amazing photos! Congrats to Little J – what a champion!